Thanks to Cindy O. for today’s technique. This looks fun! 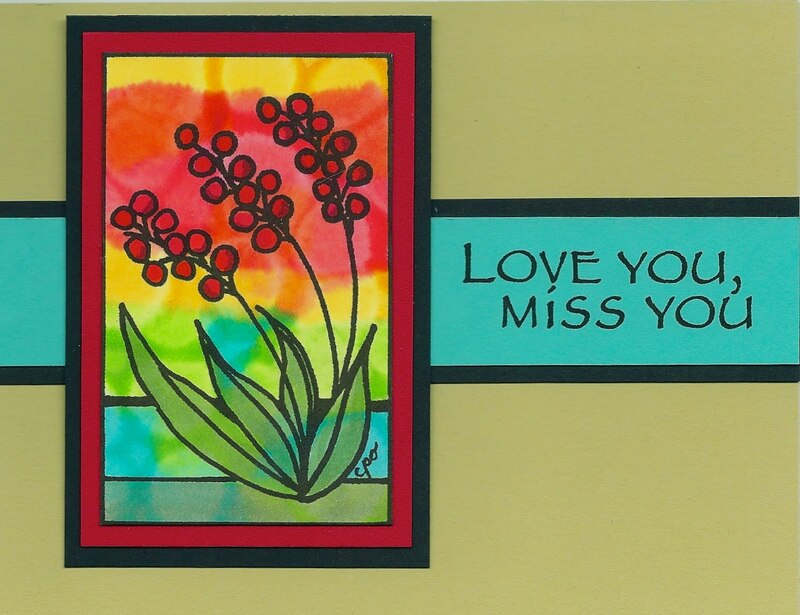 You will want to check out Cindy’s other creations over at her blog, Mostly Markers. Color-bleed? Sounds like a laundry disaster, but it’s actually a beautiful and easy Copic background technique. I learned it from a tutorial by Julia Stainton on Ellen Hutson’s The Classroom blog, where you can find a detailed how-to with photos at every step. The Classroom blog is one of my favorite resources for techniques. – Several different Copic markers. Other types of alcohol-based inks might work, but I don’t have any to test. – Your favorite Copic-friendly white or light-colored card stock. – A refill bottle of Copic colorless blender liquid. If you don’t have a Copic colorless blender refill bottle, you can use 91% rubbing alcohol and a small eyedropper from the drugstore. I tried it and it works fine, just takes a bit longer to dry. 2. 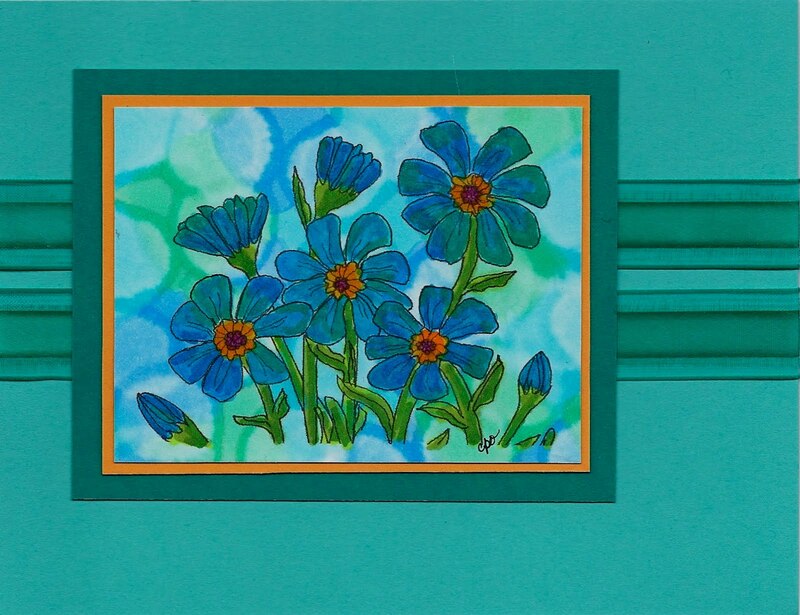 Cut the card stock down to your desired finish size – no bigger than A2. I would suggest starting with a smallish piece, maybe 3×3″. 3. Color a rough multi-color checkerboard with Copic markers, using plenty of ink (should be visible on the back). Color completely with no white spaces. I like my squares to be about 1/2″ to 3/4″ wide. Uneven squares look more interesting to me, so I don’t use a pencil grid. IMPORTANT: Let it dry completely. (“Completely” means it no longer feels cool when you touch the back.) This will give you crisper drip marks in the next step. After the drip process, you will see rings of color. The drip centers will be lighter than your original color, and the outer rings will be darker. Try Copic colors ending in 1 or 2 for a soft pattern, or colors ending in 4 or 5 for something bolder. The colors don’t really mix together, so for instance, you could use orange next to blue, and not worry about it looking muddy. For your image, keep in mind that your drip pattern will look “busy.” With a dark, bold drip pattern, try a silhouette or simple-lined image. For a more detailed image, choose lighter color inks in your pattern. 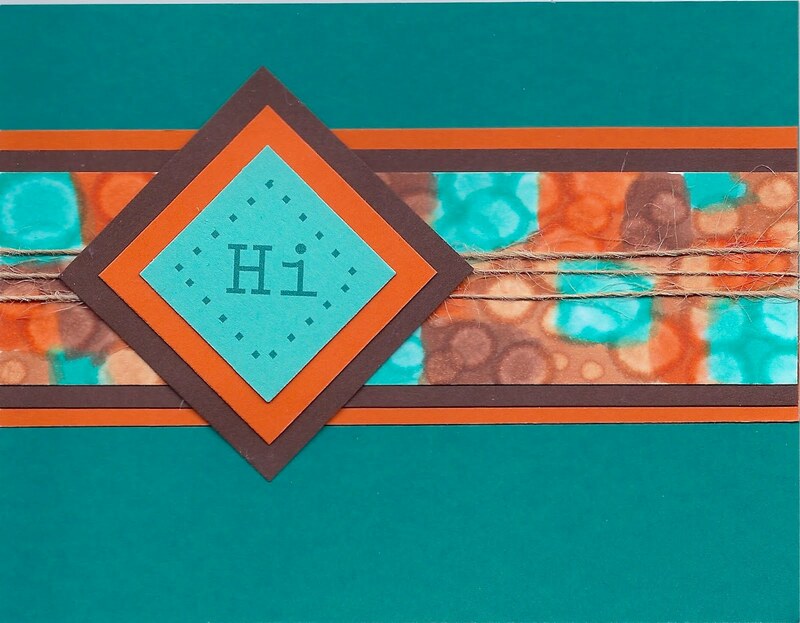 Or you can skip the image and just use it for a nice patterned paper. Questions? please leave a comment, and I’ll be happy to explain more. Enjoy! 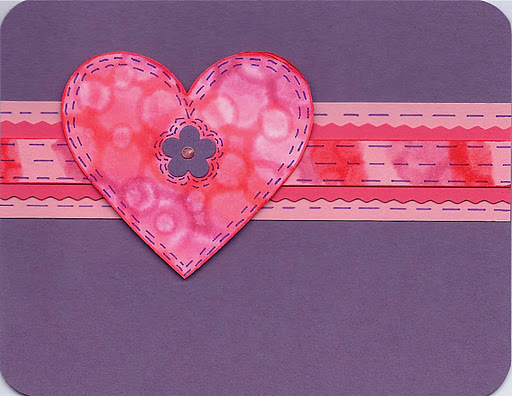 Everyone remember, if you see a nifty technique, or you’d like to show us how you made a special card, please email me at kate@operationwritehome.org. Hi everyone – if you want more details on the last 3 example cards, you can click the Inlinkz (Card 2, 3 and 4) at the bottom of the tutorial. Hope you all have fun playing with this technique! Please leave me a comment here, or on my Mostly Markers-Cards blog, if you have any questions.